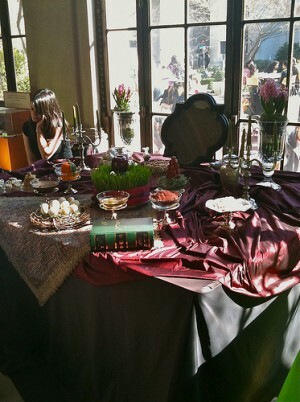 A haft sin, or traditional table setting, was on display at last year's Freer and Sackler Galleries Now Ruz event. Where: Freer and Sackler Galleries at 1050 Independence SW. Cost: Free, although some of the musical performances require free tickets. The food is available for purchase. Why you should go: The annual event is held weeks before Now Ruz, or Persian New Year, an ancient festival. The museum will offer typical Persian New Year activities and attractions, including fire-jumping and traditional “haft sin” table displays, as well as classical and contemporary musical performances, photo booths and Persian food. Thanks for the heads up! But how come they are doing this like over 2 weeks before the actual New Year?